So learn to laugh at it. Laughter can make about anything better. Besides, quite often what a non-writer thinks about a writer can be funny. Don’t worry about what others think. As writers, we need to have a strong confidence in what we do and why we do it, then accept encouragement, ignore discouragement, and keep on writing! I can’t tell you how upset this makes me because I run into this a lot! People look at me like I’m nuts when I don’t have time for what they want me to do. But seriously, I don’t. Books do not write themselves. Hope, Thank you for this excellent post on writers and the creative process. I’ve had some readers ask why authors couldn’t release a book a month or so. I reblogged this excellent article. Thanks for the reblog Cynthia! This is an excellent and informative article by Hope Ann. Loved this post. Every word is so very true. Really a smart article, and oh so true…. All excellent points. I especially love this: ‘don’t you dare count my success by how much money I make’! Fantastic article, Hope. A lot of times, us writers need to not believe some of these things ourselves. And non-writers can’t stop making fun or belittling the ones who write, which is a bit odd and undeserved. You have taken up those points wonderfully too. A great article it rang so many bells!!! Hope Ann has provided us with an excellent article about author myths and has done an excellent job. Check it out and see if you find the one or other that sounds familiar to you. Thanks for the reblog Aurora! I am not a writer, just a blogger, but I have a whole new respect (and have changed some ideas about writers) for real writers. Thank you for educating me this morning. Your explanation about writers is perfect. I enjoyed this post because it is so true, it is also amusing and made me smile. Thank you for sharing I wish the whole population could read it, that is why I am reblogging it. Happy Easter, I hope you have a restful, beautiful day. Hugs from one writer to another. I loved your responses, like, “There’s this thing called, time,” and self publishing to have control. Hello. I think I wrote here a while back. I’m a self published author as well. I chose to write and publish my own work, because I didn’t want to be rejected and have to wait years to be approved. It’s not easy being a writer. When I began to write I just wrote and waited for anyone to read my work. As the years passed by my work became best sellers. I didn’t really have to do that much. I guess it takes years for them to keep getting noticed by readers. I was afraid of failing as a writer, but what I learned is that being afraid of failure made me want to write more as time went by. I’m not afraid anymore, because writing is always taking a risk of not being read by anyone at all. 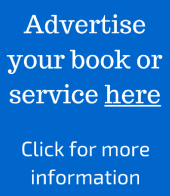 I have also read about questions on how to market or advertise books. I didn’t do any of that. I think it’s about exposure like for instance I’m very involved in answering post all over social media and this exposes my public profiles to many on the internet. If they want to learn more about my work they can find links to my blogs and on these blogs I have posts about my work with links. I think this has a lot to do with my work being read by many. I didn’t do anything different. I like your post. I really understand your point. It has taken me years to become a Best Selling Author. I just had to believe in myself and hope for the best.